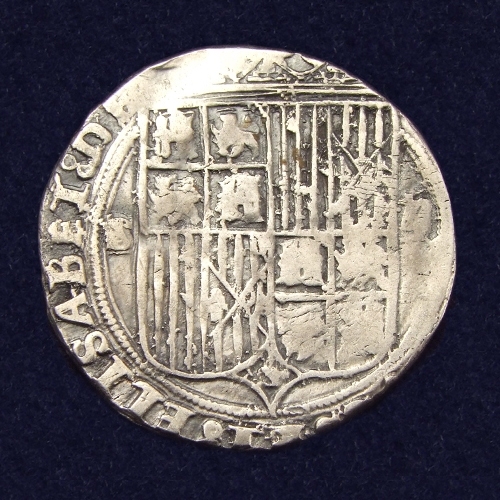 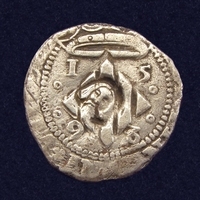 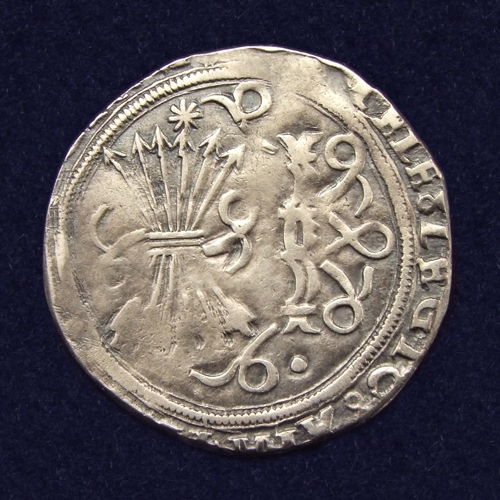 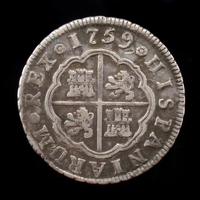 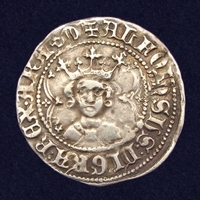 Silver 2 Reales, struck in Sevilla under the Catholic Monarchs Ferdinand II of Aragon & Isabella. 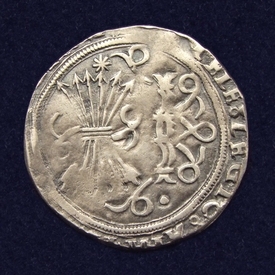 Obverse: Yoke with traces and sheaf of arrows, eight-pointed star. 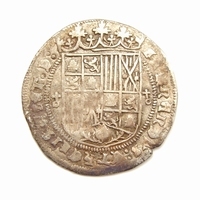 Reverse: Crowned shield of Castile-Leon and Aragon. 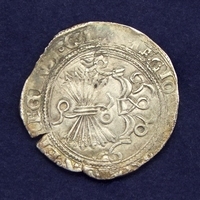 Spain, Segovia, Pepion (Vellón), n.d.